There is to be further strike action in the ongoing dispute about the role of guards on South Western Railway. The RMT union has instructed members not to book on duty from Thursday 21 June until Saturday 23 June. The strike, if it goes ahead, will affect services at stations such as Putney, Wimbledon, Wandsworth, Chiswick and Brentford. 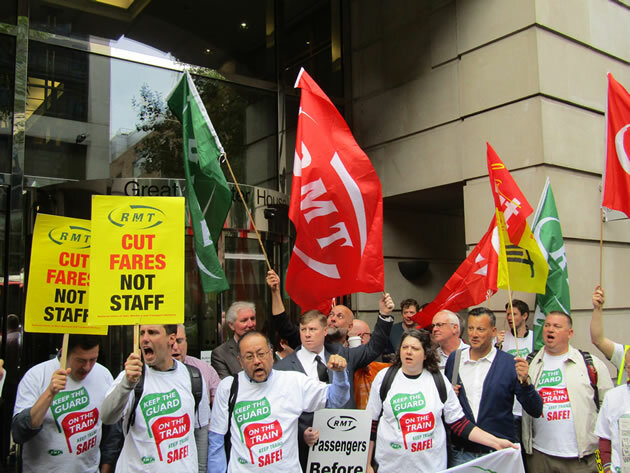 ‎RMT General Secretary, Mick Cash said, “RMT has made every effort to progress talks with South Western Railway but there has been a total lack of goodwill from the company and as a consequence we have no option but to confirm this further round of industrial action. The union claim that safety is compromised unless there is an absolute guarantee of a guard on all trains. South Western Railway say that they will roster guards on all services but that trains should be allowed to run in the event of one not being available. They argue that there is no evidence of any greater risk with a driver only operated train.